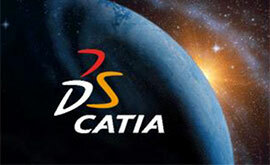 Online streaming of video Tutorials for SOLIDWORKS, CATIA, Inventor, AutoCAD, Visual Basic, and Digital Audio Engineering. All our customers say the same thing. Quality. Price. Reputation. Flexibility. Call or write us today so we can help you get started right now. We guarantee we can beat the cost of our competitors. Video-Tutorials.Net provides video-based self-study training to students, individuals, companies, schools and libraries, governments and organizations around the world. Easy to set up, easy to use. Good customer service. Video-Tutorials.Net is a leading provider of SOLIDWORKS tutorials, CATIA tutorials, AutoDesk Inventor tutorials, AutoCAD tutorials, Visual Basic / Visual Studio tutorials, Cubase tutorials and ProTools tutorials. VTN is a family owned & operated business; customer service and quality product are our absolute top priorities. 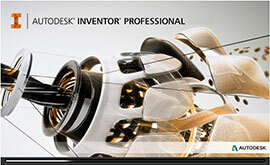 VTN is a Certified SOLIDWORKS Solution Provider and an Authorized AutoDesk Publisher and member of the AutoDesk Developer Network. Video-Tutorials.net offers SolidWorks tutorials and is a Certified Solution Partner for Dassault Systemes SolidWorks Corp. Dassault Systemes SolidWorks Corp, a Dassault Systemes S.A. company, develops and markets software for design, analysis and product data management. It is the leading supplier of 3D CAD technology, giving teams intuitive, high-performing software that helps them design better products. 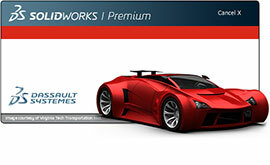 For the latest news, information or an online demonstration, visit the company’s Web site at www.solidworks.com or call 1-800-693-9000 (outside of North America, call +1-978-371-5000.